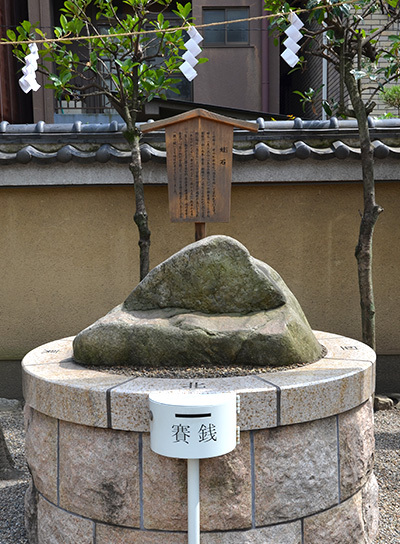 Ebisu, son of Omononushi no Kami, is enshrined here. 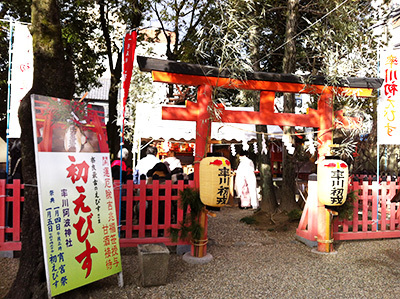 According to the shrine’s history, Fujiwara no Korekimi began the tradition of praying to Ebisu sometime between 770-780. Originally located in Nishikido-cho in Nara, the area occupied by the once large shrine complex gradually declined over time, and in the Meiji era (1868-1911), only a small building remained. 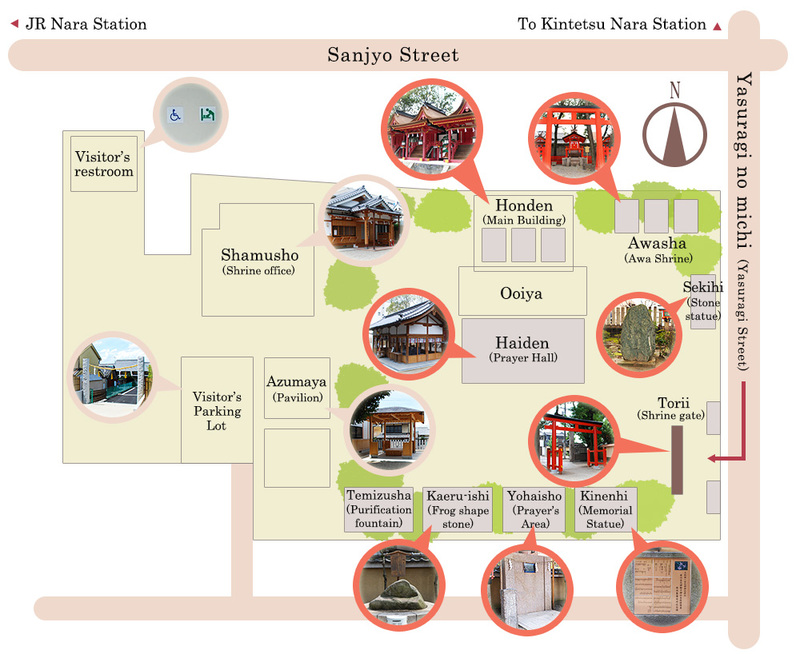 Later, in 1920, Ebisu was transferred to a new building on the Isagawa Shrine site. 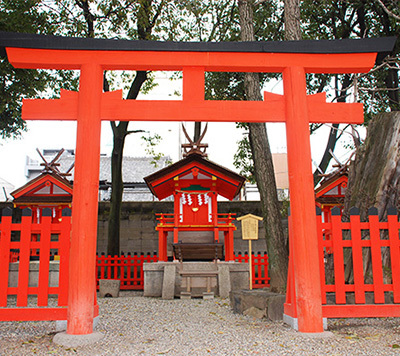 In 1959, the Kasuga and Sumiyoshi shrines were constructed beside Ebisu. Isagawa-Awa Shrine is the oldest shrine in Nara dedicated to Ebisu, historically known as the god of fishermen and luck and, more recently, as the god of business. Every year on January 4 and 5, people gather to pray for business prosperity. The name Kaeru Ishi comes from the stone’s frog-like shape. The Japanese word “kaeru” is a homonym and means both “frog” and “to return”. When Japanese people hear the word “kaeru” they associate it with a positive return of something. For example, “okane ga kaeru” (money will return), “shiawase ga kaeru” (happiness will return), “waka kaeru” (to feel young again), and “buji kaeru” (to return safely). People visit the shrine and rub the frog to pray for good health and safe travels.